Thank you to everyone who came out to represent their club at the BODY FIT GAMES on November 16th at the Elk Grove location! To recap, teams did 90 second intervals at 5 different stations. Each rep = 1 point. Modifications = ½ point. After the member round, it was the TRAINERS turn to show off their skills to add bonus points to their team’s total. The team with the most points at the end won! Trainer stats: Elk Grove trainer, Cristian knocked it out of the park with 417 points! Gar from the Folsom club was right behind him with 415. Third place went to Natomas Fitness Manager, Lawrence with a solid 355. Congratulations to TEAM NATOMAS for being our top team overall! 2nd place went to Laguna, followed by Team Mix & Match(made up of members from Arden, Citrus Heights & Orangevale). The top two male competitors came from Team Natomas: Naa Chang with an impressive 356 points, followed by Iman Entezari(a close second) with 354! Our top female competitor was Laguna member, Zaymah Kanemoto with 348! Lelia Fackler from Natomas took second place with 322.5. Prizes and bragging rights were awarded to the top team and top competitors. Everyone went home feeling accomplished and awesome and took home a swag bag! 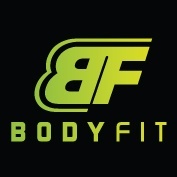 Keep your eyes peeled for the next Body Fit Games coming soon!